Much interest in our signs and process (from all corners of the globe) compelled us to make our first video, a 2-minute, start-to-finish depiction of the making of the Witherspoon & Sons sign. Perfectly captured by the gentlemen over at Portland’s Parliament, this video now has 12,000-plus views and has been linked on many international design websites, as well as other unexpected sites including TheKidShouldSeeThis.com and Smithsonian.com. Our second video has been in the works since early spring. Former Portland Tribune photojournalist Chris Onstott, now a busy photographer and videographer with his business partner and fellow photojournalist Leah Nash, agreed to sign on as videographer. He sees things unconventionally. As the designer of the Tribune, I was thrilled to use his images splashed across five or six columns of the front page each week. He stood on top of tables to shoot down on people, laid on the ground to shoot up, used unexpected lighting, composition and lenses to give Portland readers the best he could offer up. He worked long hours and always bounced in the newsroom with bags and cameras swinging from his body and for many seasons could be spotted courtside at Portland Trail Blazer games. No one else came to mind when I decided to move ahead with this project. Our early morning sunrise shoot in downtown Portland was so cold that Chris’s hands and face were just about frostbitten as he contorted himself to hold his camera rig up and out of the sunroof of my car as we drove along the 405 and the streets of Old Town. The people in this video are clients and good friends. Their faces will be comforting to see whenever I watch this video and I am proud to know them all. 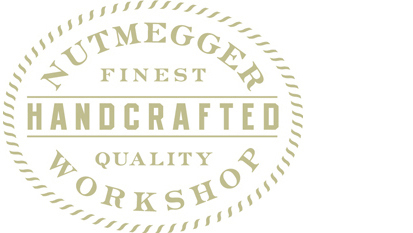 Their Nutmegger Workshop signs are testaments to their family history, passions, business ventures and groundbreaking leaps of faith. As for Portland? Well, there’s no other place quite like it.